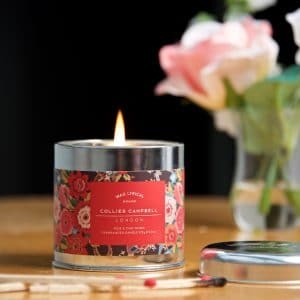 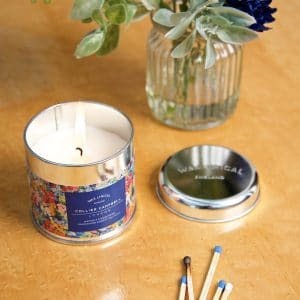 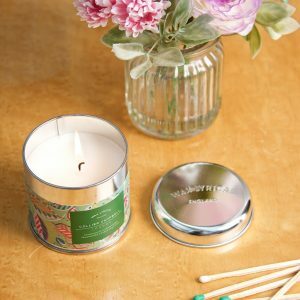 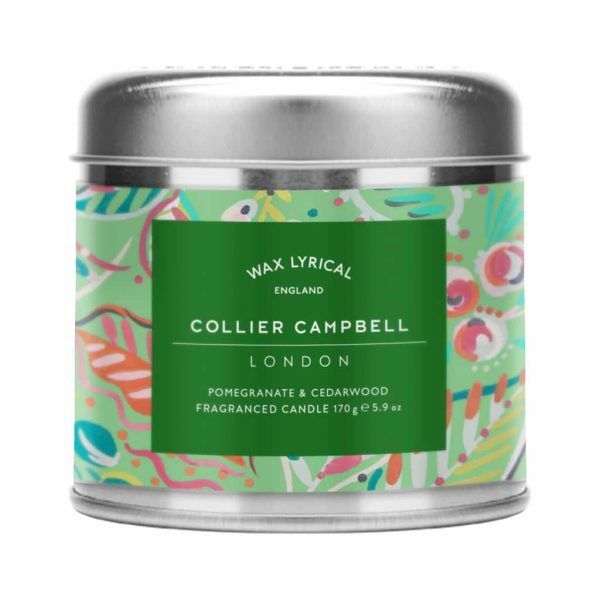 A candle in a tin decorated with our charming Tumbling Leaves design and fragranced with a gorgeous mix of Pomegranate and Cedarwood. 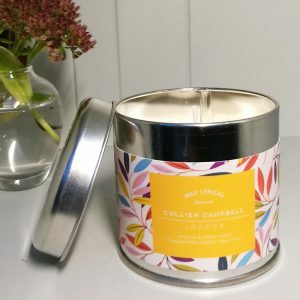 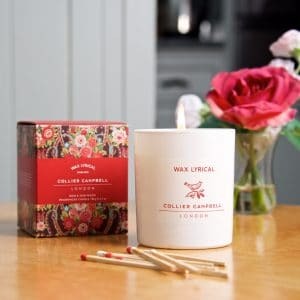 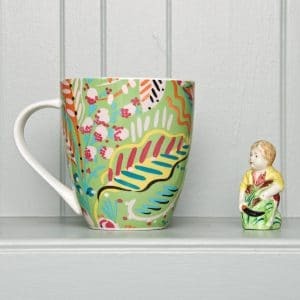 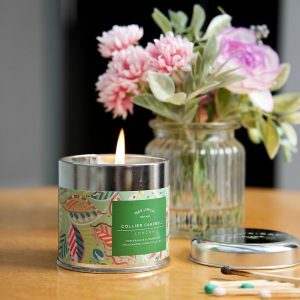 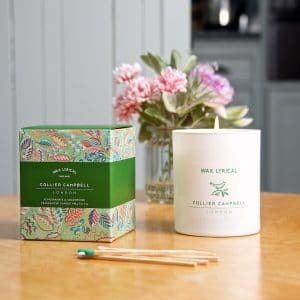 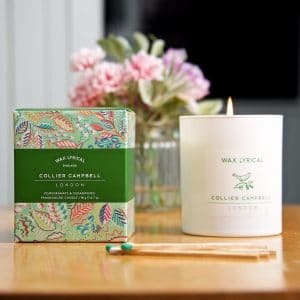 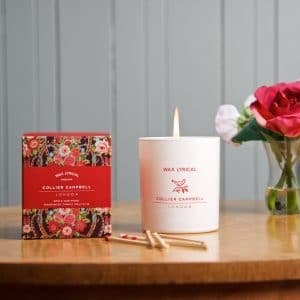 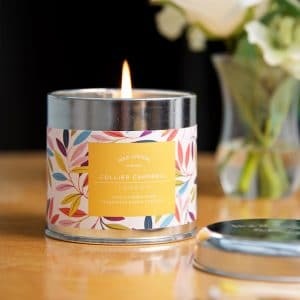 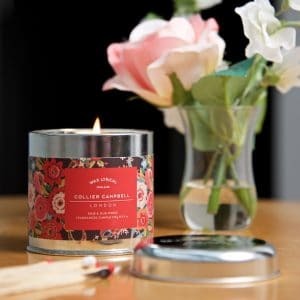 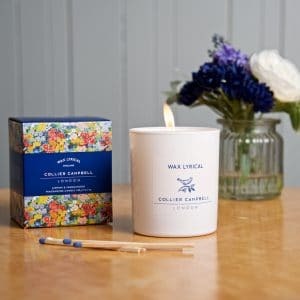 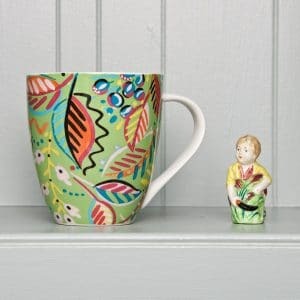 Designed to make your home look and smell wonderful, combining the comfort of a soft, warm candle-lit glow with the delicious scent of pomegranate, mixed with deep and soothing notes of cedarwood, created for us by Wax Lyrical. 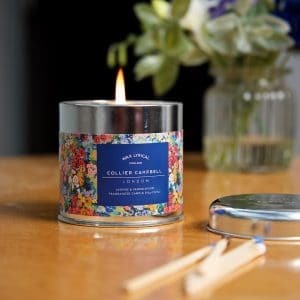 This candle makes a lovely Christmas present or stocking filler, or a great gift for a birthday, dinner party or overnight stay.